Are you tired of exercising but not getting the desired results? Sometimes, as we age, our bodies don’t shed weight or go back into the same shape we once had. 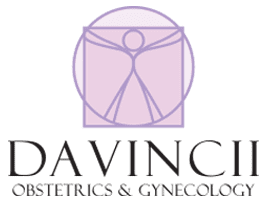 In Madison Heights, Michigan, the professional staff at DaVincii Obstetrics & Gynecology staff knows how important it can be to you to look your best. They offer SculpSure® body contouring as an alternative to plastic surgery. Call for your consultation today. SculpSure body contouring is the latest technology to help you lose unwanted fat in specific areas of your body. If you have stubborn pockets of fat that will not go away with diet and exercise, consider SculpSure body contouring as an option. There is no recovery time, and you see results in as few as six weeks. Is SculpSure the same as surgery? SculpSure body contouring is not the same as surgery. In fact, it’s not surgery at all. The treatments are customizable, and you are able to treat areas other than the stomach and thighs. The FDA has approved the use of SculpSure for your chin as well. With no pain and no surgery, there is no reason to wait. Your appointment will typically last 25 minutes. Laser heat technology targets fat cells just below the skin’s surface. The heat from the laser increases the temperature of the fat cells, causing them structural damage. The damaged cells are eliminated by your body over the next three months through your lymphatic system. The fat cells are removed permanently from your body through your pores. You usually see results about six weeks after your treatment. What can I expect during a SculpSure body contouring appointment? During your appointment, you sit comfortably as the SculpSure device treats the area of skin you and the team have designated. You’ll feel alternating cooling and heating as the process continues. The heat you sense will not burn, but it can feel intensely warm. You can return to normal activities when you are done with treatment, waiting only for the destroyed cells to clear from your system. If you are concerned your chin or other parts of your body are in need of extra attention to feel and look your best, call the staff at DaVincii Obstetrics & Gynecology for their professional opinion in how to treat your “problem” areas.